You poured so much work into your website. It’s not worth taking the risk that you could lose it all if it breaks. But, you can safeguard your website with a WordPress backup schedule. When you create a full back up of your website, you save everything and store it in a safe place. That way, if something goes wrong, you can quickly restore it. You can automate this process by using a plugin and setting a schedule for backups to run automatically in the background? But how often should you schedule your backups? Today, I’ll share more details about a WordPress backup schedule and how often you should schedule your backups based on your particular website. There are many factors which contribute to how frequently you should set your WordPress backup schedule. It’s important to consider your site’s specific needs. How long did it take you to create your website? How often do you update and put work into your site? Would you consider your site and its content valuable or irreplaceable and how much? Does your site contain content created by others? What content would you be willing to lose if your site comes across errors? There isn’t a clear cut answer to the WordPress backup frequency question because every website is different in terms of content, size and usage. However, the frequency of your backups is directly correlated to how often you update your website. The more you make changes, the more you need to backup your site. A portfolio website may be updated with each new project every few months. Blogs may be updated weekly or even daily with posts, not to mention comments from readers at all hours. Ecommerce sites may be updated every minute with transactions and inventory changes. Generally speaking, for low-traffic websites with few monthly updates, a WordPress backup schedule set to once a month is typically enough. If your site is static and sees infrequent or rare updates, you should still set a WordPress backup schedule to run once a month to make sure your software, themes and plugins are updated. Websites that are updated weekly or any less than monthly should be backed up weekly. If you’re running an extremely popular blog or ecommerce site where updates are continual, look into real-time backup solutions such as BackUpBuddy or VaultPress’ Professional plan. Now that you have a better idea of how frequently you should set your WordPress backup schedule, what exactly should be backed up? Another important component is your database. It’s where WordPress stores your posts, users, and comments as well as your taxonomies (categories and tags). It’s recommended that you schedule full backups which consist of your database tables and your files. Incomplete backups or partial backups consit of one or the other. This definitely isn’t advisable because if you back up only your files, you won’t have any posts, pages or images in your backup. If you back up only your database, you won’t have any of the structure to hold your content such as your theme, appearance or any custom functionality. If you’re worried about the size of your backup file, there are some unnecessary database tables you can omit from your backups. For example, anti-spam and statistics plugins are constantly monitoring and gathering data, but the information isn’t that important to keep. The WordPress codex recommends having three different backups in three different locations in case one of them becomes corrupted or accidentally gets deleted. For example, in a cloud storage service, email, a thumb drive or on your computer. Many site owners and developers also like to keep an archive of backups in storage. There’s no need to keep every backup you have ever made, but depending on your storage space, organization and comfort level, dating back a few months should do the trick. Many backup plugins also have archive pruning options to make ancient backup deletion easy. There are multiple ways you can back up your site and they’re detailed below. These ways will speed up your site and improve its performance. Many WordPress hosting providers offer automatic backups, but there are some elements to consider before trusting only this service. Many hosts claim they’re backing up your full site, but they’re only doing a partial backup and saving your files (and not your database) in the file root. This is less than ideal since you need both parts for the full site to work. Your host also shouldn’t store your files on the same server as your live site because your server could go down and take your site along with it making backing up your site difficult or impossible. Contact your host if you aren’t sure of their policies and procedures regarding backups. You can use cPanel to back up your site manually. If you don’t have a cPanel, ask your host where you can manage your WordPress backups as well as how to do it. In cPanel, go to the backup section. Depending on your host, you may have the option to do a full cPanel backup or a comprehensive backup of every single file, database and setting in your account. It may be important to note that this type of backup can lead to a file that’s too large to manage and store easily if you have multiple websites or a large one. You can also do a WordPress backup from phpmyAdmin, but it requires going into your live database and should only be attempted by someone who knows their way around the files. For details, check out How To Backup and Restore WordPress Website Without Plugin (Manually using cPanel)? and Backing Up Your Database Using phpMyAdmin. Enlisting the assistance of a WordPress backup plugin is great a way to get quick and effortless backups. There are also a variety of plugins in the WordPress Plugin Directory. For details, check out 5 Free and Best WordPress Backup Plugins: The Definitive List and 3 Top Quality Premium WordPress Backup Plugins: A Definitive List. A number of plugins will do automated backups for you. But, it’s also a good idea to have a manual backup handy instead of relying on a third party company. A WordPress backup can become corrupted or damaged whether you create a manual or automatic backup so it’s important to test each file to make sure they work. Otherwise, you may not be able to restore your site if it breaks. How Frequently Can I Schedule a WordPress Backup? Once you determine how often you should schedule your backups, the next step is to know your options for setting up a schedule. When you’re creating manual backups, technically they can be as often as you want. But constantly making WordPress backups every hour probably isn’t a good use of your time. On the other hand, backup plugins have the capability to schedule a WordPress backup hourly, daily, weekly, biweekly, monthly, at a specific time or in real-time. Keep in mind that each plugin varies. So, it’s important to check how often and when a plugin is able to schedule backups. Each website is different, which means your WordPress backup schedule will differ from other sites. That being said, you should backup your site as often as changes are made to it. Or, as often as it takes to give you peace of mind. It can feel like a hassle or a waste of time to take preventative measures. But, the benefits far outweigh the brain-space that you devote to the task. 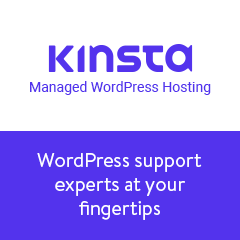 What WordPress backup plugin do you use? Do you schedule backups or manually create them? What are your concerns with backing up your site? Share your experience in the comments below.